It may feel like it’s been forever, but not too long ago Mainers had to go to classes, fill out paperwork, and jump through other hoops to get permission to exercise their constitutional right to carry a firearm. Effort after effort failed to pass Constitutional Carry, and even when it recently passed, Jared Golden voted against it three times! 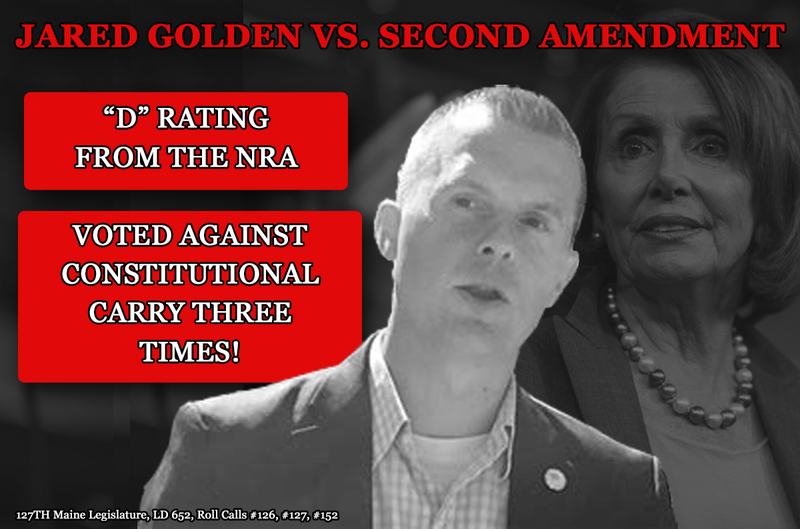 Add to that Jared Golden’s “D” rating from the NRA, and the picture becomes very clear. ​We don’t need someone like Jared who will oppose our Second Amendment rights and the Maine Constitution.